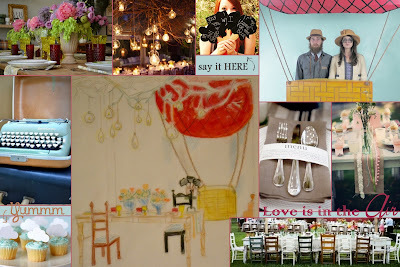 i heart peonies: Come Fly with Us! 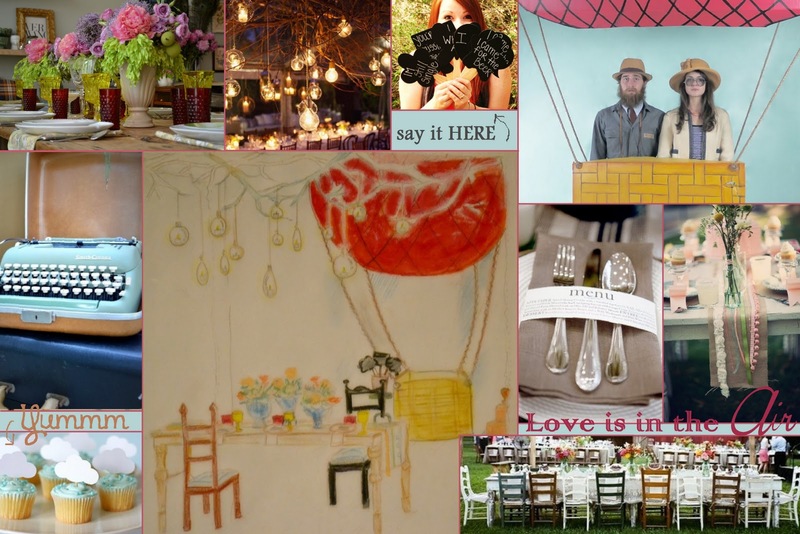 May I present... our inspiration board for the Inspired Creations Contest at Indie Wed! The real impetus was that top right photo of the hipster couple, floating in a hot air balloon. As our team assembled for the first time and began to unload their inspirational photos and notes, Renee and I immediately noticed that we had both visions of hot air balloons. Everyone agreed that this was a fabulous idea and here we are. I don't want to give too much more away as I hope to see some of you at Indie Wed. I also want to say that we have added two amazing new companies to our line-up. Creative Cakes will be providing a bright and fluffy cake and a beautiful gown from Monirose. We're getting so excited!